The departure of David Willetts from his post as minister for science, universities and skills is a cause for regret, and early signs for his replacement are worrying. Ministers come and ministers go; it’s a fact of life in the UK. David Cameron isn’t as reshuffle-happy as previous Prime Ministers, but in his first (probably only) full-scale reshuffle of this parliament, the departure of the minister for science, universities and skills, David Willetts, will be the cause of regret for most of the Science, Technology, Engineering and Maths (STEM) sector. 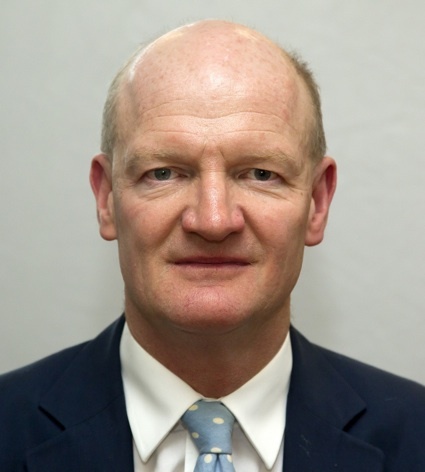 Willetts: Large brain, large shoes to fill? Willetts was a bit of a surprise appointment in 2010 — he had neither shadowed the portfolio in the previous parliament nor shown any particular interest in it; and he was a relatively high-profile figure who’d been tipped for a more senior cabinet position, possibly related to his previous speciality, economics, where he acquired his nickname of ‘Two-Brains’. But he took to the role with gusto and quickly found himself in a position where he had to argue to maintain funding in the face of cuts demanded from all departments. Possibly his previous Treasury experience stood him in good stead in these arguments, and maybe it was this process which convinced him of the need for a strong STEM sector to provide innovations for industry. But from that point on, he was a vocal advocate for science and engineering, for public engagement and for the promotion of science subjects in schools (which was, in fact, not part of his remit). His particular interest in space was notable; perhaps not surprising considering the presence of a large Astrium (now Airbus Space & Defence) facility in his Havant parliamentary constituency, but anyone who heard him speak on the subject couldn’t have failed to notice that he was flat-out fascinated by it. Moreover, and despite his cerebral image, Willetts was always a friendly, courteous and approachable figure whenever we encountered him, and happy to explain his position when confronted with opposing views (which was quite often). He was also responsible for the ‘eight great technologies’ framework which now underpins the Technology Strategy Board’s funding competitions, directing investment into sectors which Willetts felt represented the UK’s best chance of a lucrative technology leadership position. 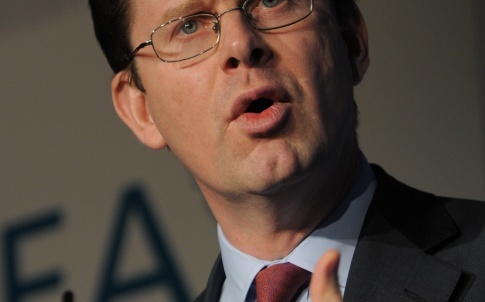 His replacement, Greg Clark, is a bit of an unknown quantity at the moment, not sharing Willetts’ high profile. However, a few early signs have been a little worrying. First, Clark is adding the three elements of Willetts’ former portfolio onto an existing responsibility for cities. While there is a link between cities and STEM, in the form of smart city and smart grid technologies and concerns about air quality and energy efficiency, it does mean that Clark will have less time to devote to STEM policy. Second, the portfolio has been downgraded, or rather returned to the status it occupied before Willetts took the job. While he was a routine attendee at Cabinet meetings, Clark will only attend when the agenda touches his remit. It appears that the promotion of science, universities and skills to de facto Cabinet rank was a sop to Willetts’ personal standing and not to the importance of the sector to the UK; which could be interpreted (and is, in this office) as a slap in the face to those who work in the sector. Finally, Clark’s signing of a bill some years ago, which called for NHS funding of homeopathy and a recognition of its value to the nation’s health, is a cause for some disquiet. To be charitable, it might have been the mark of an MP with a homeopathic hospital in his constituency rather than that of a true believer in the complementary therapy which is pure nonsense and backed by no reputable research. But for someone whose role is to promote and stand up for the interests of those who work in the fields of rationality and evidence, it’s not an encouraging sign. Mr Clark has some big shoes to fill; and with only nine months until the General Election, not a great deal of time to fill them. It was said in the 60s that the Tories never really understood intelligence and ability in any form, and technical matters of any sort were way beyond them. One has to hope that the present ‘lot’ -and many of those in-between- had at least started to realise that it was technology which was the key to everything: [even if they went to Eton and studied PPE, whatever that is?] and certainly to the rise of those Nations somewhat ahead of us in the economic and technical/scientific stakes. I did enjoy several delightful exchanges with “two-brains” Willetts -if for no other reason that I was born in his constituency and his book about Pensions (not at all dry, surprisingly) was very well researched and presented. But -see above- given the chance, a return to the landed gentry running everything is what they really like. Describing complimentary therapy as “pure nonsense” is, at best, uncharitable and possibly downright ignorant. Complimentary therapy comes in many forms including acupuncture, and whilst there might not be “reputable research” to back it up, the Chinese use it to conduct intrusive surgery with no anaesthetic. Coming from a journalist in a Scientific publication, which not too many years ago would probably have you burned at the stake, I believe the remark conveys bigoted ignorance of a subject we should be striving to understand. This is a big missed opportunity to appoint a female minister who at least has a science degree. Surely we can find one who has enough about her to do this job? As for merging the Cities piece into the brief- this seems to detract from the importance of Stem as a whole. A poor decision all round. The fact that Greg Clark isn’t a flat earth advocate (so far as we know) seems to be the only plus point. I don’t know where the idea came from that “Willetts … had neither shadowed the portfolio in the previous parliament nor shown any particular interest in it”. In 2008, Willetts was Shadow Secretary of State for Innovation, Universities and Skills, according to a note I have about a meeting convened by a group called Conservative Business Relations at Conservative Party HQ before the election. I knew that Willetts would be a safe pair of hands when I saw him at that meeting and in a debate with one of his predecessors, Lord Sainsbury. Willetts made it clear that he agreed with much of what Sainsbury had done as science minister. At that press briefing, Willetts even went so far as to say that Sainsbury’s “works deserve to survive and be respected”. I can’t remember how that went down with the rest of the panel. As Sainsbury was also much admired and respected in the research community, it was clear that Willetts wouldn’t arrive in the job with the usual Tory ignorance of all things scientific and technological. PS Note the spelling of Willetts’s name, which seems to vary in the article, and there is only one of him so it is “Willetts’s former portfolio” not “Willetts’ former portfolio” or “Willett’s former portfolio”. PPS On spelling, to the person banging on about “complimentary therapy”, you do your hopeless case no favours by not knowing how to spell the term. Had Willetts shown any support for complementary medicine, or for the climate deniers alongside him in government, his approval among scientists would have evaporated overnight. It is your call. Literacy can certainly be clumsy when you try to do thing like spell correctly. If you are happy to throw grammar out of the window, by all means use Willetts’. Me, I agree with the Financial Times.